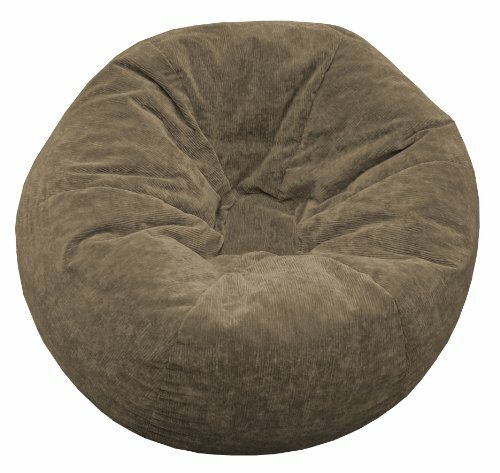 Xxl micro-fiber suede corduroy bean bag. 140" circumference (l41" x w41" x h24"). Sturdy cover is a toast color, double stitched and has a child safe zipper. Comfortably fits all ages. This durable bean bag has easy spot clean maintenance. Filled with virgin expanded polystyrene beans. Made in USA.